Developed by DYMO to meet virtually all your labelling needs in an office, workshop or retail environment. 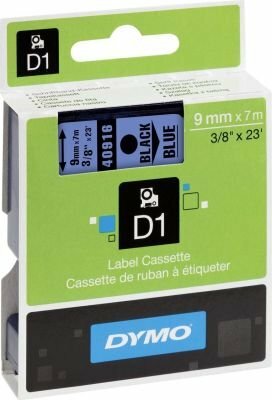 These tapes will ensure long-lasting, high-quality labelling. Compatible with LabelManager-, LabelPoint- and LabelWriter DUO-labelprinters and old DYMO labelprinters using D1 tapes.